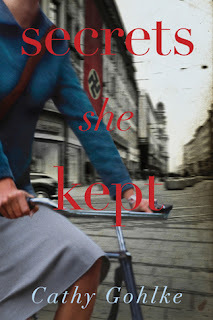 Both Hannah’s and Lieselotte’s stories unfold as Hannah travels to Germany to meet her grandfather, who hides wartime secrets of his own. 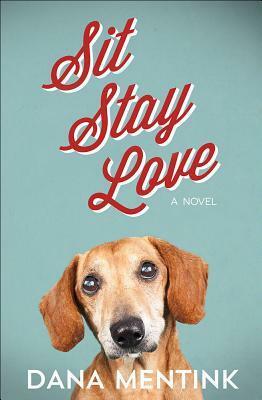 Longing for connection, yet shaken by all she uncovers, Hannah must decide if she can atone for her family’s tragic past, and how their legacy will shape her future. Cathy Gohlke is the two-time Christy Award–winning author of the critically acclaimed novels Secrets She Kept, Saving Amelie, Band of Sisters, Promise Me This (listed by Library Journal as one of the best books of 2012), William Henry Is a Fine Name, and I Have Seen Him in the Watchfires (listed by Library Journal as one of the best books of 2008), which also won the American Christian Fiction Writers’ Book of the Year Award. 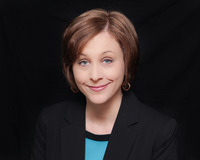 Cathy has worked as a school librarian, drama director, and director of children’s and education ministries. When not traipsing the hills and dales of historic sites, she, her husband, and their dog, Reilly, divide their time between Northern Virginia and their home on the Jersey Shore. What an emotional book, from beginning to end, and the worst of it, is that it could all be true. What a horrible time for mankind, and although part of the book takes place in the 1970’s, we spend a lot of time in Hitler’s Germany. When the book opens you never expect all that is about to happen, and Hannah’s Aunt is really not forth coming with any information. So when she opens a strong box and finds letters from Germany, she is about to open a way to family, and horror. I will tell you that once I started reading this, I could not put it down, it is an amazing story, and one everyone needs to remember. Hannah’s worlds are about to collide in answering a lot of questions about her parents, and why Lieselotte, her mother, was rather distant with her. I would never imagine! With all the secrets, that make her sick, she has to deal with the hardest of all, Forgiveness. I loved the author putting one of my most admired woman in this story, and knew that parts of this is really a true story, so in the end this is fiction based on fact. How did people fall under the spell of that monster, and yet it happens as history starts to repeat itself, and in the name of religion. 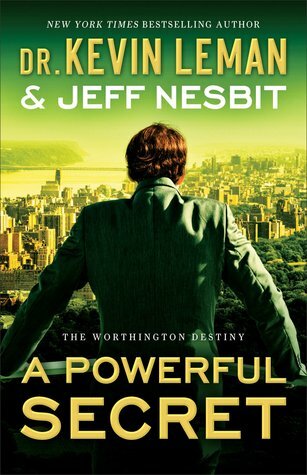 A must read, and a story that will linger with you for a long time. I received this book through Net Galley and Tyndale House Publisher, and was not required to give a positive review. The mistakes of the past haunt Lucy Flaud, who years ago stopped attending the activities for courting-age young people in her hometown of Bird-in-Hand. 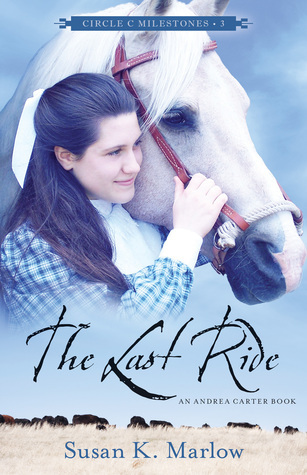 Now twenty-five and solidly past the age of Amish courtship, Lucy has given up any hope of marriage, instead focusing her efforts on volunteering in both the Plain and fancy communities of Lancaster County. Yet no matter how hard Lucy strives, she feels uncertain that she'll ever find redemption. Dale Wyeth has a deep mistrust of modern-day "advances" and the dependency they create. The young Englisher's interest in living off the grid is fueled further when he meets Christian Flaud, Lucy's father. Dale appreciates the self-sufficient ways of the Old Order Amish, and Christian invites him to learn more about them by staying at the family farm. As Christian and Dale grow closer, developing a father-son rapport, Lucy begins to question what Dale's being there might mean for her. Could God be testing her? Or is it possible that even the most unworthy heart--and two people from very different walks of life--can somehow find a new beginning? 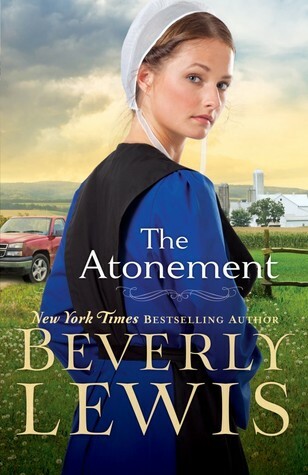 The Atonement is about a young Amish woman who feels she will never be worthy of Gods love, she is unable to forgive herself for past mistakes. Because Lucy Flaud won’t let go of her sins, and ask God and herself for forgiveness she is unable to move forward. We meet a Christian man who takes an interest in Lucy when he meets her father at bereavement sessions. Lucy’s father Christian invites the young man to come over to his home and shows him around, as Dale is interested in becoming more plain. 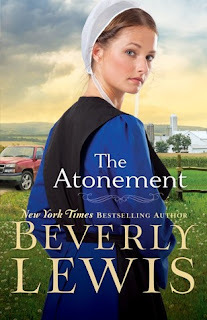 Will his growing interest in Lucy lead her astray again, or will Dale embrace the Amish life. There is also a long time friend, Toby whom wants to make Lucy his wife, and she turns him down. Lucy spends a lot of her time helping her family and helping mankind, with soup kitchens and going to the nursing home. You are going to love her, and hope that she is able to move on from what has happened in her past. I loved her selflessness, and how her nieces and nephews adored her, your going to enjoy walking in her shoes for a while. 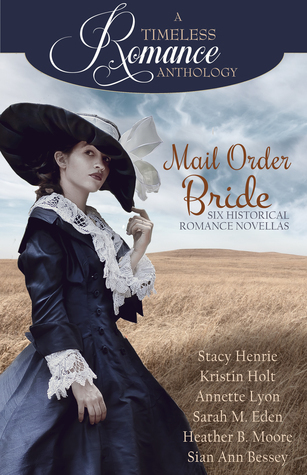 A delightful collection of six historical Mail Order Bride novellas’, they are quick reads and each can be read in a single sitting. 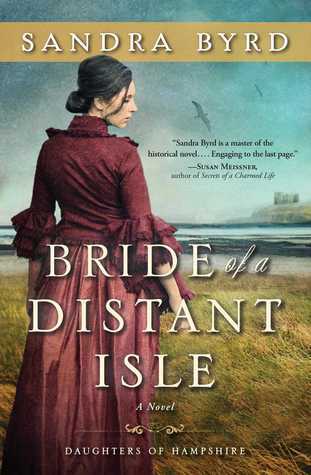 All of the brides have fallen on unfortunate circumstances, and for some they have been accused of terrible crimes, and others arrive to find things are not what they expected to find. I can’t imagine traveling a long way from where I live to a very unknown place, knowing no one, and end up marrying someone I have never met. Although, at least one of the stories end up with people who have met before, and another that yes they have met, but don’t see what is right under the noses. In other stories when the bride arrives, the groom is nowhere to be seen, will they wait for him to return? These are quick and interesting stories that will keep you page turning, and moving right on to the next. Enjoy! Andrew loves putting on plays so he decides to join the drama club at school. Determined to make his performance the best it can be, he joins the debate club to practice his public speaking. He signs up for dance and karate to help with his coordination. Then he's asked to play for the tennis team and edit the school newspaper. Before long he's learning to play the bagpipes, attending Spanish classes and joining the French film club. Suddenly Andrew doesn't have time for anything or anyone else, not even his best friend Edie. And he definitely doesn't have time to sleep. Will Andrew figure out how to balance all his favorite activities and his best friend at the same time? A hilarious, over-the-top look at a common issue many kids today face. 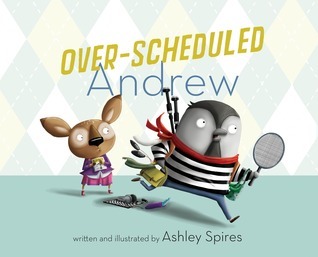 Author and illustrator Ashley Spires grew up in Tsawwassen, BC and after stints living in Toronto and Saskatoon, she now lives in Ladner, having made an educated decision to never move from BC again. 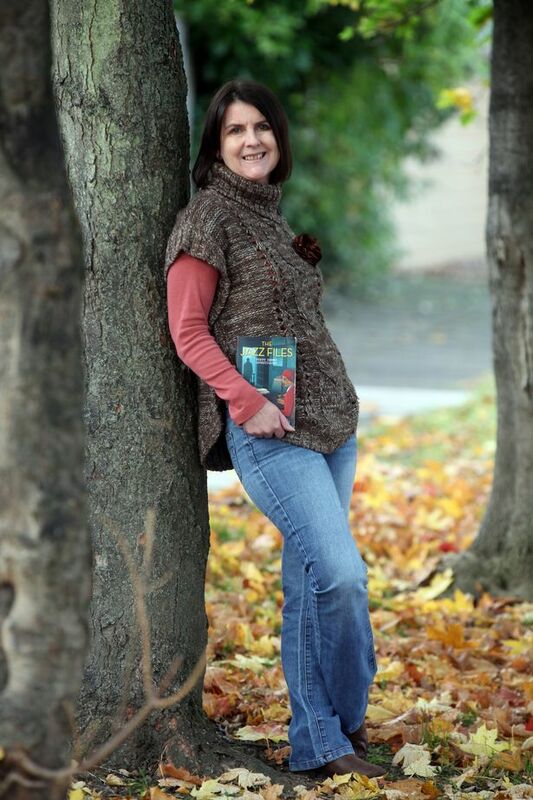 She is the creator of the Binky The Space Cat series of junior graphic novels, which have earned her numerous awards, including the Silver Birch Express and the Hackmatack. Her picture books, including Larf, Small Saul and The Most Magnificent Thing, are known for providing readers, young and old, with a good laugh. 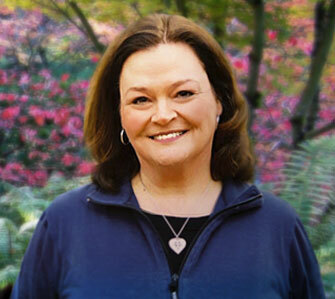 When not drawing, she is often jogging with her dog Gordon or wrangling her three cats, Penny, Fran and Gracie. Andrew likes to improve his performance, so while in the drama club the ball starts rolling and pretty soon, he can’t even keep his eyes open. Andrew may be an over achiever, but he sure is a cute little bird, and my favorite a chickadee. You can almost see how one thing leads to another and on and on. The drawings are adorable and nicely colored for a youngster's eye, and the prose and right to the point and then we turn the page. There are lessons here for both parents and youngsters, and they are really nicely presented. I recommend this read, if you a youngster that is in to everything and wanting more, this story shows how there is no time just to be a kid. I received this book through The Library Thing, and was not required to give a positive review. KATE FREY is an international garden designer and consultant specializing in sustainable, insect-hospitable landscaping and small farms. She won two gold medals at the Chelsea Garden Show in London for ecologically themed gardens and is a popular speaker at garden shows and clubs. She has written for Gardens Illustrated and Pacific Horticulture magazines, and lives in Hopland, CA. Learn more at freygardens.com. 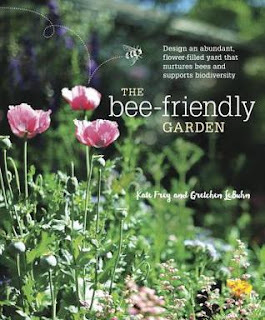 GRETCHEN LEBUHN is a professor of biology at San Francisco State University and the author/editor of two books on pollinators, Field Guide to the Common Bees of California and Attracting Native Pollinators. 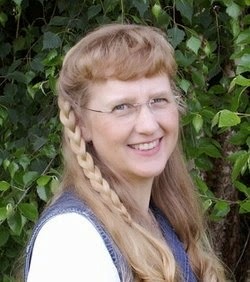 She is the founder and director of The Great Sunflower Project (www.greatsunflower.org), a national citizen science program designed to gather information about bee diversity and activity. First the cover, and then the title drew me in to reading this book. I know and have been reading about the bees dying, and we are heading for a major disaster if that happens. I do plant my flower garden with the bees in mind, along with the hummingbirds, Monarda, Oswego Tea, or Bee Balm, all the same name for one plant, is one of the plants that comes to mind. This book is a plethora of beautiful pictures and advice, and it is one that I will be referring to for a long time to come. Love that we come to the back of the book there are plants that are suggested along with their climate zones for each section of the country. I am sometimes very surprised that I can grow a plant that I didn’t realize would tolerate my zone. There is so much information presented here, I love it! When I first read the back cover of this book, I immediately thought of the Kennedys our own American Royalty, and the tragedy that followed them. So I began turning the pages, and there are similarities, but this is a different family of Irish heritage. You could feel Sean’s pain as he tried and tried and seemed to never succeed in winning his father’s approval. The family appears to be so very close, and the siblings are there for each other. When Will walks away from the Senate race, we soon see how strong the bonds this family has, even when they don’t know why all of this happened. I loved how concerned for his fellow man Sam is and how he goes about seeing to the well being and setting companies up to help these world communities move forward to the future. Will we ever find out who is stalking this family? Will Sam ever real his true feeling for a woman his friend appears to have feelings for? The book is supposed to be a christian read, but there is a lot lacking as far as anything faith in this read, wish there would have been more. The answers to most of yours questions are here and there is another book coming out this fall in this series, and I may give it another try. I received this book through the Revell Reads Blogger Tour, and was not required to give a positive review. 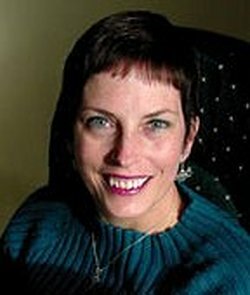 Sandra Byrd has published four dozen books in the fiction and nonfiction markets, including her two historical series with Howard Books. 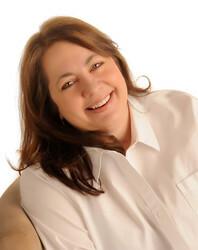 For nearly two decades, Sandra has shared her secrets with the many writers she edits, mentors, and coaches. She lives in the Seattle, Washington area. Once I became totally involved in this book, there seems to be non-stop moments of terror or intrigue, what is going on? Annabel Ashton has grown up an orphan, but with family, that is, her mother’s sister and her family. A constant companion at their estate was her cousin Edward, and now seems to be at his mercy. Annabel is Catholic and at this time period the papists have to more or less hid underground, England is Anglican. Her cousin is interested in money and his right to own the family home Highcliffe, and their may be proof that this all belongs to Annabel. We watch, as Edward and his wife seem to go to all lengths to claim the heritage, including committing Annabel to a mental hospital. They try to marry her off to a very distasteful man; they also use her to get information. If you enjoy a story that is full of action, seems there is never a dull moment, and a bit of romance thrown in, but even then we don’t know for sure, if it true or some other form of the evil that seems to follow Annabel. I wondered if I would like this book from the first, but I loved it, it is full of history, and really keeps your attention. I received this book through Howard Books Blogger Program, and was not required to give a positive review. 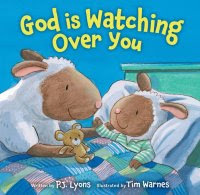 God Is Watching Over You is a perfect toddler night book, reading each evening at bedtime to reinforce how God is there for your child in every situation. The book is beautifully colored and very eye catching for little eyes. Made of hard cardboard for the baby hands and soft covering is perfect for your baby. I loved the prose that goes with this sweet book, what a wonderful gift this will make for a new little one, and for the parent to share with them. I received this book through Booklook Bloggers, and was not required to give a positive review. Andrea Carter is turning sweet 16 and life could not be better. She's about to finish school, her sister Melinda is getting married, and her older brother Justin has a new baby to spoil. There will be plenty of time to work with the colt of her treasured palomino horse, Taffy, and best of all, Andi will finally get to work full-time for the ranch she loves. There's just one problem: a city-slicker cousin named Daniel. Left there by his father, with a cryptic warning that New York City life has done damage to the young man's character, Daniel wants nothing to do with the ranch. He ignores Andi's lessons, walks away from responsibility, wrecks valuable equipment, and even runs away to San Francisco. The Carter family is in a frenzy trying to keep Daniel under control. 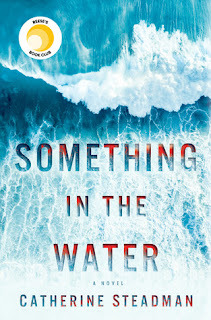 When Andi discovers a horrifying secret about him, he forces her to stay silent. But all that changes when Daniel's actions put lives in danger. Andi's anger over her loss threatens to destroy not only Andi but her entire Circle C world. 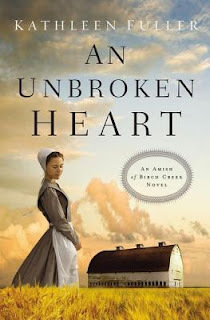 Can anyone break through the wall around Andi's bitter heart and help her find healing? Loyal long-time readers of Susan Marlow's historical fiction will line up for an older Andi's newest adventure, and her discovery of how powerful love can be. As the third book in this series open we find Andi anticipating the end of school, when she will graduate and also she will soon be turning sixteen. An old childhood friend has also returned to the Ranch, and he is all grown up, but this so called friend is about to take her promised job, training the colts. From the title I cringed, and was so afraid of what was going to happen, and you will need the tissues in this one. A cousin from the past arrives for an extended visit and Andi mother Elizabeth is hoping all will welcome him and help him with his problems. Good old Daniel is given to Andi as her job in place of the colts. I enjoyed this book and loved the faith shown by this family and you are going to love how they pull together to help one of their own. Once this one is picked up you won’t want to put it down. I received this book through Kregel Blogger, and was not required to give a positive review. As the book opens we meet Jack, such a wonderful kind and Godly man, he has such a big heart and when he meets Marie, he takes pity on her and buys her a ticket on the ferry, and this kindness is about to change her life forever. Jack’s life is up in the air, but he opens his home to Marie, giving her a small apartment in his home, that has already been promised to another. 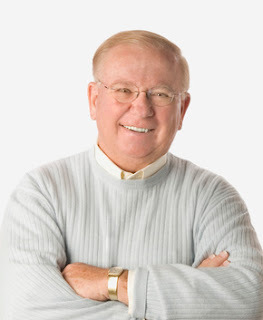 Jack is working to make his deceased wife’s Ruth dream come alive; he is opening a bed and breakfast. We are about to meet another broken person, Seth, he has been betrayed in the worst way. Unknown to Jack or Seth, Marie has an eye for decorating, and throws her hand into everything, trying to bury the pain. These are three broken individuals and you can see God’s hand in putting them together. Because of Marie and her needs and love she finds here in being part of a family, she opens their world to meet others in PEI, and they become a much more extended family. Many secrets are revealed here, and you will be shocked at how some of them are handled, and others are so sweet. This is book one and I loved it and see that there is a sequel coming in the Fall 2016, I can’t wait! I received this book through the Revell Blogger Tour, and was not required to give a positive review. An argument. A crash. In an instant, Joanna s world is changed forever. One minute, Joanna Schrock was arguing with her parents, and the next, her parents lives were claimed in a hit-and-run buggy accident. Her body is broken, but her heart is in even deeper pain after all, how do you cope with your parents deaths when your last words were spoken in anger? After an extended stint in a physical rehabilitation center, Joanna re-enters her Amish life. But nothing is the same not even her feelings for Andrew Beiler. Joanna has loved Andrew since the age of twelve, and her feelings have not changed throughout the years. She is thrilled when Andrew wants to get married, but she wonders whether it s love he s feeling, or pity. 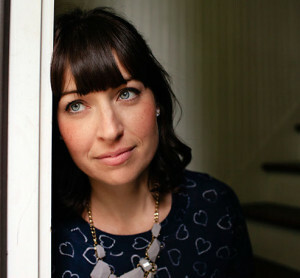 As the couple s wedding date approaches, Joanna isn t overcome with the deep joy she was hoping to feel; instead, she s wracked with anxiety and guilt. Joanna hears God whispering to her, Be strong and courageous, but she s afraid that courage looks a lot like walking away from her dreams and into the plan of her Heavenly Father. If Joanna takes the first step toward healing, will it cost her everything she s ever wanted? Or could God be changing the desires of her heart?" 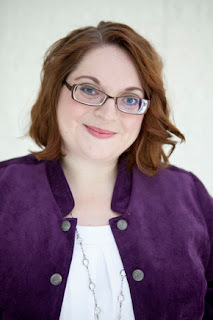 As this story opens we find an impetuous Joanna Shrock as she proposes to the young fellow she has had a crush on since she was a student in Amish school. While she is telling her parents as they travel by their buggy, her mother tries to persuade her that she is not yet ready for marriage, when the unthinkable happens. When Joanna wakes from her nightmare, only to find she wasn’t dreaming, she suffers from the accident, but most of all from the loss of her parents. Andrew was shocked when Joanna asked him to marry him to marry her, but when he almost lost her he decides he wants go through with the marriage. Now Joanna is having a hard time, she is hurting both physically and mentally, and we wonder if she really is ready for the wedding to go on. 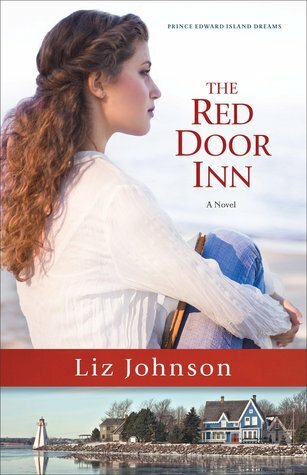 In the last book we met sister Sadie, and followed her romance with Arden, and they are now married, will Joanna be able to find the same happiness, will she even allow herself to move on? We also meet the man responsible for the devastation that has touched these young women’s lives, and when you put a face on someone, will we still think of him as a monster? Would you be willing to forgive someone like him, and when you hear his story and hear about his life, things become even harder. Throughout all of this hardship, God is working with everyone; he is there for them to lean on and if they will listen, follow the way he wants them to go. There is one more sister in this family, and so I am hoping that there is another awesome book. 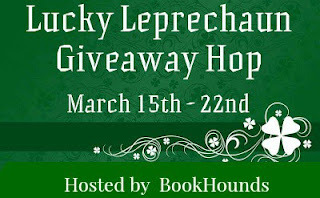 The Luck of the Irish be with you, and welcome to the Lucky Leprechaun Giveaway Hop!! 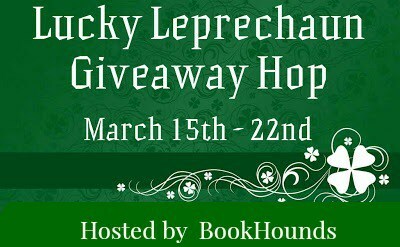 I am offering a $10 Amazon Gift Card, and all you have to do is use the Rafflecopter below. Introducing Poppy Denby, a young journalist in London during the Roaring Twenties, investigating crime in the highest social circles! In 1920, twenty-two year old Poppy Denby moves from Northumberland to live with her paraplegic aunt in London. Aunt Dot, a suffragette who was injured in battles with the police in 1910, is a feisty and well-connected lady. Poppy has always dreamed of being a journalist, and quickly lands a position as an editorial assistant at the Daily Globe. Then one of the paper's writers, Bert Isaacs, dies suddenly--and messily. Poppy and her attractive co-worker, photographer Daniel Rokeby begin to wonder if it wasn't a natural death, but murder. After she writes a sensational exposé, The Globe's editor invites her to dig deeper. Poppy starts sifting through the dead man's files and unearths a major mystery which takes her to France--and into deadly danger. Her children’s picturebooks, the Young David series, are now published by SPCK Publishing. 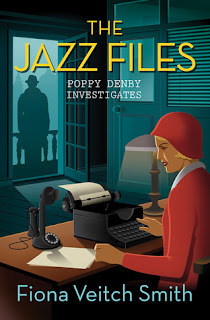 Her adult mystery series set in the 1920s, Poppy Denby Investigates, is published by Lion Fiction. The first book in the series, The Jazz Files, is available from September 2015. She is a member of the British Society of Authors and the Association of Christian Writers. Fiona is also the editor of the popular writing advice website The Crafty Writer and her courses attract students from around the world. She lives with her husband, daughter and two dogs in Newcastle upon Tyne where she lectures in media and scriptwriting at the local universities. This book brings us to a time just after the first World War, and people, or rather woman fighting for some rights, and the men who a really oppose and want women put in there place, at any cost. The main character is Poppy Denby, who has come to stay with her Aunt Dot in London, having led a sheltered life up to now as the daughter of a Methodist minister, what a new life she is about to have. We follow Poppy, and it seems like there is never a dull moment from the time she arrives until the end of the book. We think we know most of the answers, but in reality we do not. We find that there is a lot of evil out there, and Aunt Dot is in a wheelchair because of it. Another friend was murdered, and when an employee of the Globe, where Poppy has just secured her first job, falls to his death, because of her connections through Aunt Dot she is give a special assignment. We get to travel to Paris, and danger follows Poppy, but she does secure more facts, but really wants answers, and to find a way to get Aunt Dot’s friend Elizabeth out of the insane asylum where her dear father has committed her because of her views. With this read we get it all, we tour London, we revisit history, and we travel with a fast pace mystery. We even get to lay in a window washers wagon, along with trains and ships, and a shadow seems to follow, be careful, you never know when you heart will move into your throat. Enjoy! If We Were A Movie is the story of a young woman, Jordan, and a young man, Nate, who have the fortune to both meet Pearl. Now Pearl is not an ordinary person, you know that if you have been following the matchmaker series, she is ageless and has the insight to find the right person for everyone she takes under her wing, she seems to be able to mountains if she wants. Nate has been in a long-term relationship and was trying to break it off by going to NYU, and low and behold his high school girl friend, ends up in NY also. His triplet brothers, yes life for Nate is very interesting, don’t like this girl, and try different ways to pull Nate out and have him meet other women. 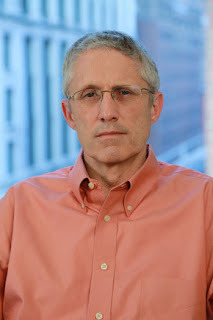 When life gets unbearable living in a small dorm room with his brothers, yes three to a two-man room, and the report he has been working on is destroyed, he leaves. Now with Pearl in charge, he doesn’t move in with high school girl, no, he moves in with Jordan, whom we learn has a history of choosing losers. Now Nate is music major and his life revolves around songs, and Jordan has built her life on movies, so everything they do or think is a reminiscence of either a song or a movie. When Thanksgiving comes around and Nate goes home to be with his family, Jordan ends up driving him to Syracuse in her Ferrari, take about envious brothers! But said x-girlfriend is also home, in Syracuse, and what she reveals could wreck everyone’s life. This is a quick and interesting read, we attend college in NY and we travel upstate, and we see where relationships can go to extreme. Wonder where Pearl is going next?